Its has to be said that Worcester Bosch make great boilers, but like any brand of boiler they should be serviced yearly, as recommended by The Gas Safe Register (formaly CORGI). The boiler is the heart of your home, providing heating and hot water when required, but often they get forgotten stuck away inside a cupboard, or just hanging upon a wall. The CDI and other named boilers have a differant kind of heat exchanger, though these still must be serviced and the gaskets changed. The Worcester Greenstar range mentioned in this article have a main heat exchanger based upon the “premix burner” sometimes called “zero governor”. This is where the gas and air are mixed and the fan blows this mixture into the heat exchanger for combustion. We are going to focus upon the main burner seal. This seal stop very high temperature gases escaping from the combustion chamber. 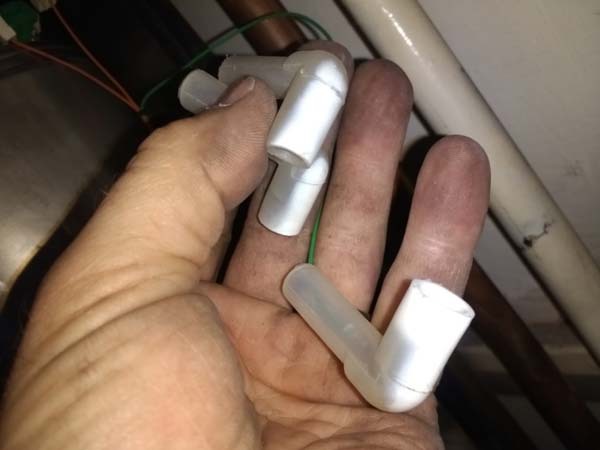 Recently I have attend a good handful of Worcester Bosch Boilers which have either had a burner gasket failure or in the early stages of having one. The ones which had failed, one was repaired for £600, though it did require an new expansion vessle as well which was not related to the gasket failure, and the other boiler was replaced, like for like. I am not blaming in any way Worcester Bosch in their design, as I have one of their boilers and love it, but due to lack of maintenance. 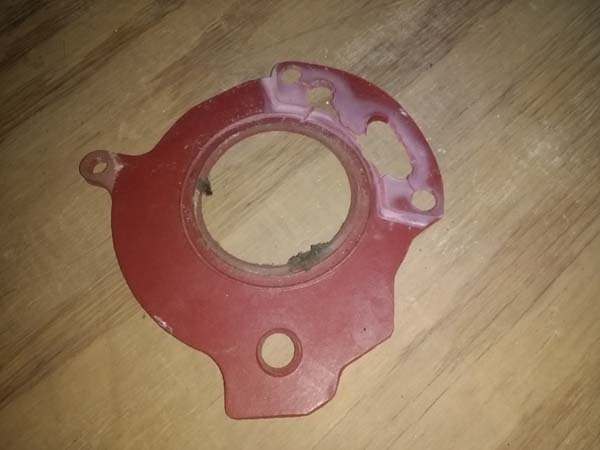 You can’t inspect this gasket during a normal service and even when checking the fan pressure this does not indicate the state of the gasket. The only way to tell is by removing the fan and burner assembly. The boilers that have failed were between 5 and 10 years old. None of them were reported to of had the main burner gasket changed. The follwing photos show a number of boiler with similar issues. 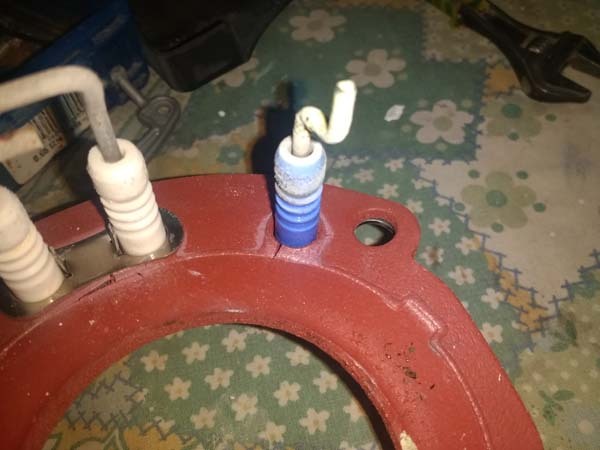 The gaskets I have found have all failed around the spark electrodes and ionisation probe. 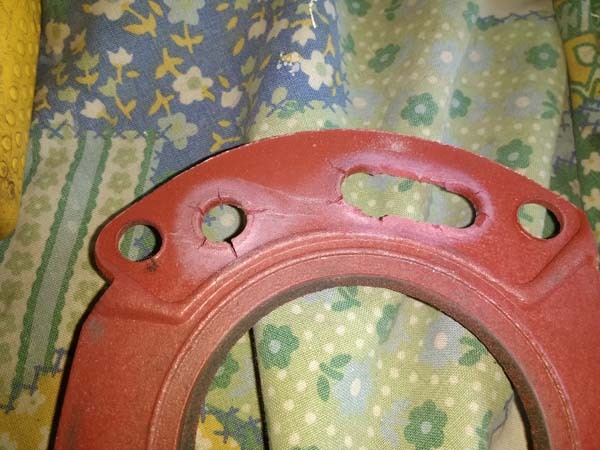 The gaskets goes hard and cracks. This photo is the only one i had showing the boiler assembled, though it highlights another issue. The main heat exchanger has been damaged, though not through a failed gasket. You can see “rings” running around it, because the inner alloy heat exchanger as expanded and is now pressing against the outer case. This is were water is being heated up to 82 degrees. 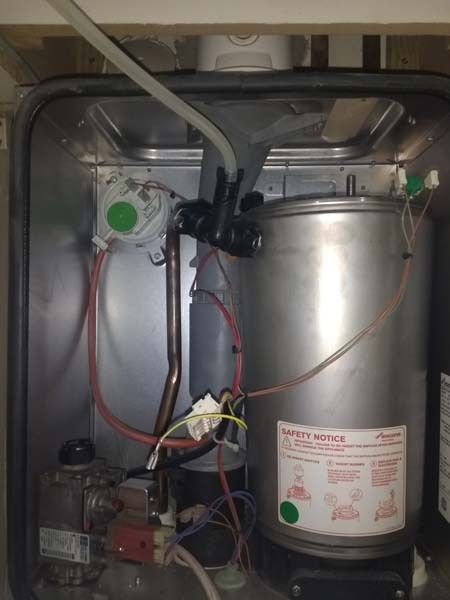 Though the boiler can still contiunue to work like this, it is recommended to have it repair/replaced, as the outer casing, can/will split if put under to much tension. Should this happen water will pour out. Which could be very very hot. Depending upon the type of heating system you have and the position of the boiler will determine how much water come out. 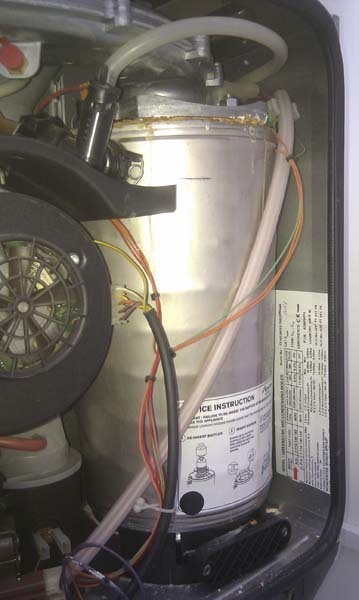 Normally boilers are on the ground floor and if of a traditional installation, where you have a small header tank the the roof, this type of installation will allow a lot of water to come out, and it want stop until the supply to the header tank and been turned off, or the boiler has been isolated. With a pressurised system, combi boilers are very common, normally once the pressure has been released the partilal vacuum formed within the heating system should hold most of the water back. Either way it will make a mess. In this image you can see the boiler looks half empty, as the fan and burner assembly has been removed during a routine service. This has to be done when the boiler is cold, normally being turn off for an hour before really helps, as the engineer does not have to wait for it to cool down. Please note how clean the boiler looks inside, more about that later. Right:- A perfect example of a heat exchanger, notice how smooth it looks. Middle/Centre:- Grey inner flue duct. Below you can see a number of main burner gaskets after removal from differant boilers. It’s always the right hand side which tends to fail. 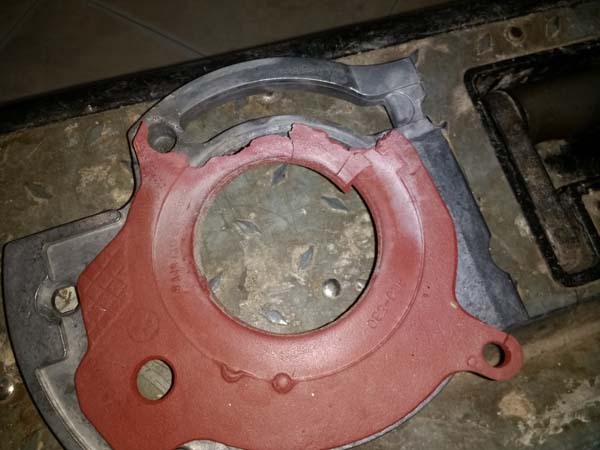 I assume that its due to extreme heat, and the gasket material become hard, splits and fails. 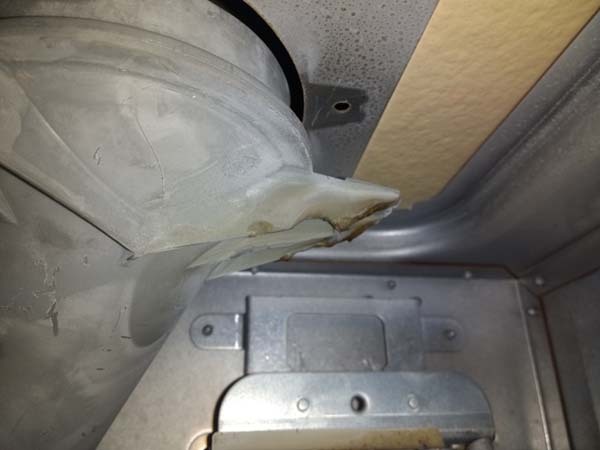 Although this section of the inner flue dust is higher and more towards the center of the boiler from where the gasket fails, the heat has started to melt the tough plastic flue duct. 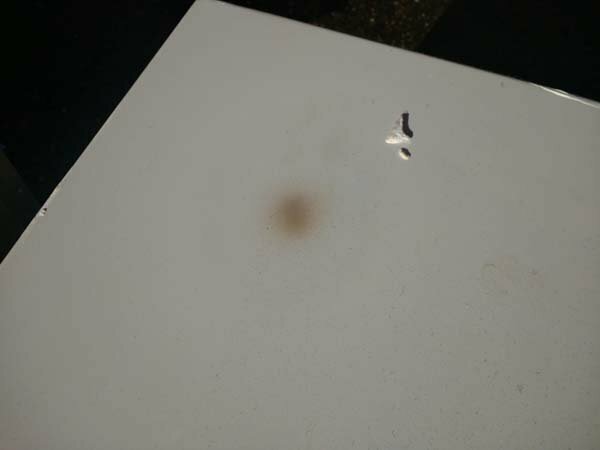 Here you can see where the hot gases from the failed gasket has been blowing onto the outer casing and started to damage its shiney surface finish. You can also see traces of the red gasket left on top of the main heat exchanger due to it becoming hard and flaking. 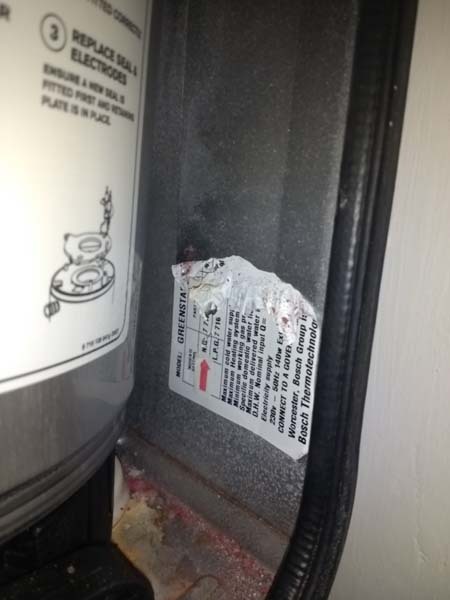 Also you can just see in the top left corner the damage to the flue duct, which is detailed in the above image. 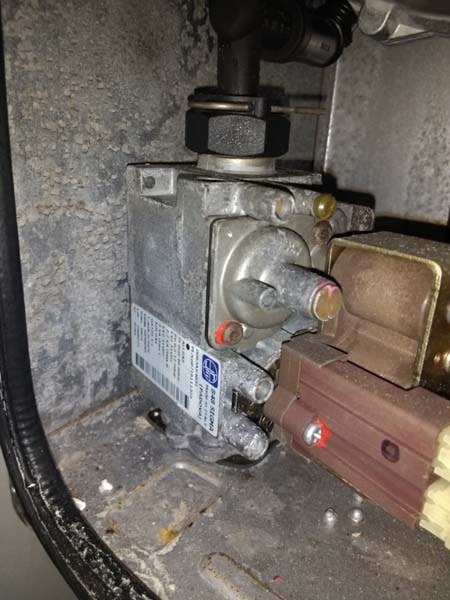 When the burner gasket fails it fills the inside of the boiler casing up with hot, potentially dangerous gases. You can see here that the aluminimum gas valve has been damaged and the inner casing is now all pitted and dull. Back to the top of the boiler, the ignition and flame sensor leads have been cooked by the extreme heat of the hot gas circulating around the boiler casing. The soft silicone has turned white and has become had, so hard that it breaks off. You can just see on the inner casing a small patch of damage where the gasket has just started to fail. This was found during a routine service and no further damage was caused to the boiler. The manufactures label does not stand a chance when the hot gases start to circulate around where they should not be. When the gasket fails it allow very hot gases to be blown on to the boilers casing on the right hand side when you are standing in front of the boiler. It get so hot that the tough enamel paint become brown. If you have not had your Worcester Bosch boiler serviced in the last year (or any other brand of boiler) have it serviced. You can check to see if you may be having this problem by touching the white boiler casing when the boiler has been working. Its best if you are able to touch the right hand side. If the casing is more than LUKE WARM then you may be having this problem, at an early stage of a total failure. If you are in any doubt TURN OFF THE BOILER, heating and hot water and call your boiler engineer or me. Most condensing boilers have some form of main burner gasket, and they can all fail, i have attend vaillant boilers with failing main door seals. If you have one of the boilers mentioned in this article and its 5 years old or older have it services ASAP and have a new gasket fitted. 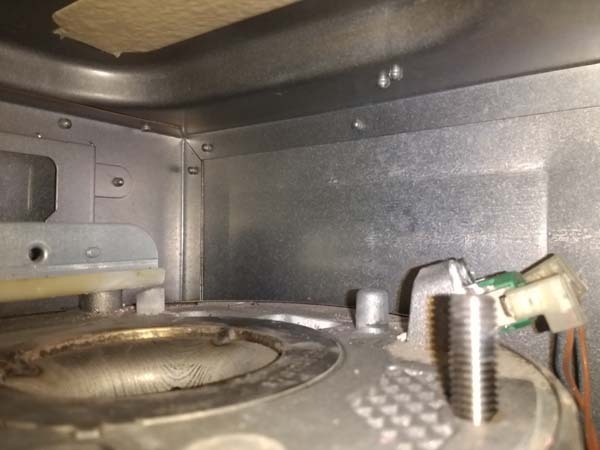 In regards to the combustion chamber door seal there has been a product improvement to the seal between the burner plate and the heat exchanger. 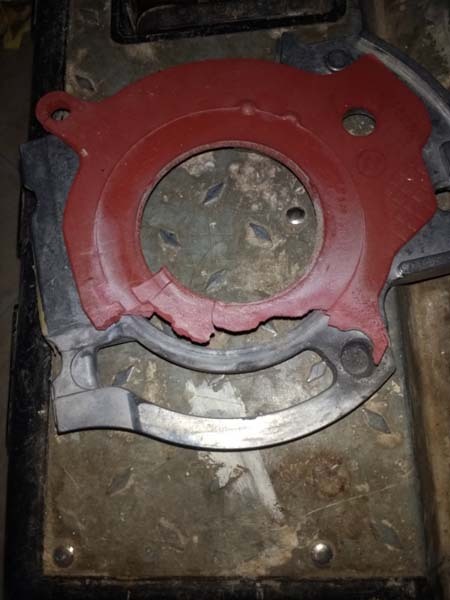 This seal was originally made of a silicon material and as such the service manuals recommended that it should be inspected during the annual service and was to be replaced when any signs of wear are noted. Since April 2006, the seal has been made of a new material (graphite) which has several significant benefits, the main benefit being that the graphite seal does not need periodic replacement at the time of normal annual servicing unlike the original silicon seal. 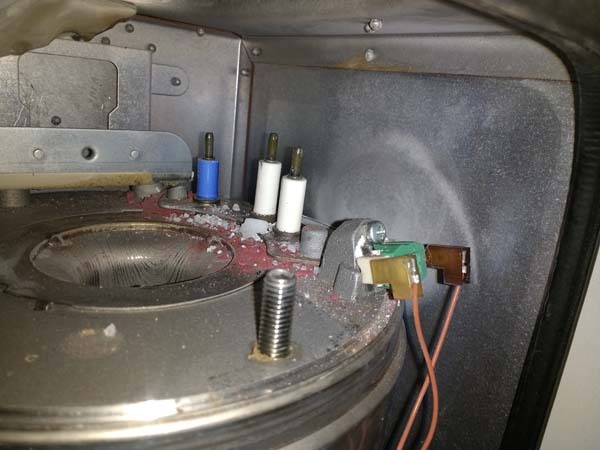 Indeed, it is only necessary to replace the seal when the burner door is removed for other maintenance actions. Furthermore, the issue with the ecoTEC burner door seal was communicated to 45,500 installers through the CORGI bulletin TB196 (Now Gas Safe Register bulletin TB098). During this free-of-charge rework activity we reworked nearly 56,000 products and issued over 14,000 free graphite seals for our installation customers to retrofit during service activities. The additional Installer-focussed activity we have conducted up until December 2010, where we issued a service reminder via Gas Safe Register (TB078), to remind installers of the necessity of regular servicing, and the potential for deterioration of the combustion chamber seal on older appliances if servicing is not carried out. As per our manufacturers instructions we recommend our appliances are maintained and serviced annually. It is noted from checking our records it does not appear we have regularly serviced the appliance further to this if it has been serviced by a local Gas Safe registered engineer we would have expected the seal to have been replaced by now.